What Curated by Lóránd Hegyi, artistic director of The Parkview Museum, Intriguing Uncertainties is the second thematic exhibition which explores the complexity of our existence through contemporary art. The exhibition puts the spotlight on contemporary drawing in particular, featuring two-dimensional and mostly monochromatic works conjured from charcoal, pencil or ink. Be intrigued by the works of 42 artists across Europe, Asia, Africa and America, including Dennis Oppenheim, Sandra Vasquez de la Horra, and Zeng Fanzhi. 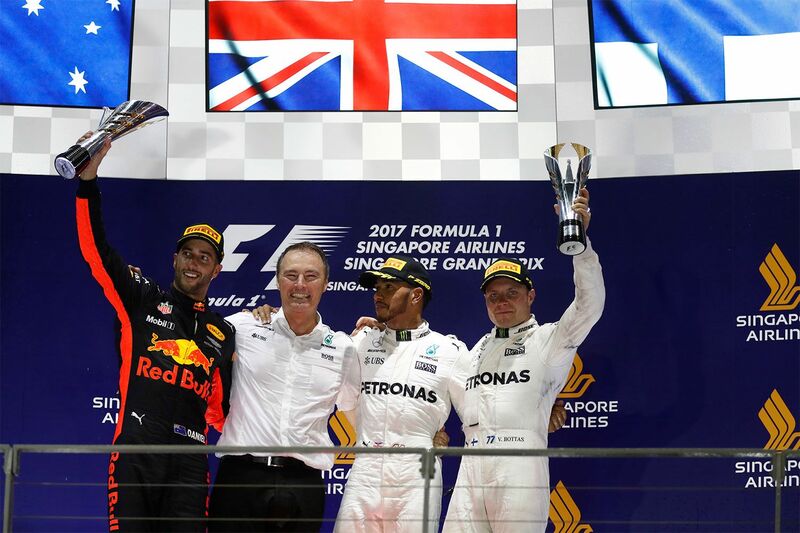 What The 11th edition of Formula One (F1) Grand Prix returns this weekend, bringing the best drivers to compete in the world's only full night race in the F1 calendar. Over 200,000 spectators from all over the world are expected to gather by the Marina Bay Street Circuit this year. The stellar entertainment lineup includes Mando-pop star Jay Chou, DJ Joe Hahn of Linkin Park, Japanese pop band Sekai no Owari, and more. Homegrown talents Joanna Dong, TheLionCityBoy and seven more local acts will also be taking the stage. What We’ve all heard of Baba-Nyonya (Peranakan Chinese of the Straits), but how much do you know about Chetti Melaka? Chetti Melaka of the Straits puts the spotlight on this lesser-known community and their culture, which combines a rich blend of Indian, Malay and Chinese influences. In the Indian Heritage Centre’s (IHC) first community co-created exhibition, visitors are invited to discover the Peranakan Indian’s way of life through photographs, documents, clothing, jewellery and other artefacts. What As part of the 6th Singapore International Photography Festival (SIPF) 2018, this exhibition delves into photographer Nobuyoshi Araki’s relationship with his wife Yoko through 118 original photographs. A sentimental journey, the photos trace their story, from beginnings of romance to the final notes of death. The honest and controversial photographer conveys these narratives from his point of view, in a diaristic style.